Free parking and all the facilities you might need you will find them in this modern building. Security is a top priority, and you will always feel safe! And if you want to pamper yourself and your friends with an amazing experience don´t forget to live your concert in one of their special suites. In February 2012, Mexico City witnessed the arrival of what is the most important, comfortable, modern and secure arena. 'Arena Ciudad de Mexico'. 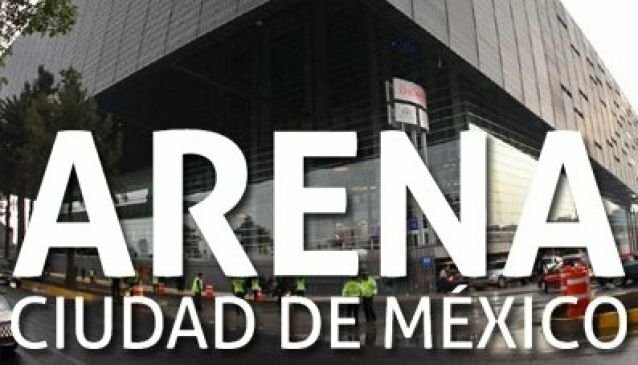 The Arena Mexico City is designed for performing all kinds of events: concerts, sports, theater, private, public, cultural events and conventions. With capacity for 22 thousand attendees sitting comfortably with the best acoustics and vision to the stage, 124 luxury suites a spectacular lobby, over a thousand screens, cutting edge technology in its central screen, and many amenities that will make the best experience for all attendees Arena Ciudad de México promises the best shows in the city, given the alliance with Feld Entertainment. With a growing number of attendees year over year this arena is becoming more and more the best option for entertainment. 2014 will be another exciting year with many outstanding performers. Everything you need to live an amazing experience you will find it in Arena Ciudad de Mexico.